Per his military service record (regimental no. 4745), Sydney Raymond Carver was born at Hill End, N.S.W. He gave his age as 30 years and 6 months, his marital status as single, and his occupation as fettler. His description on his Certificate of Medical Examination form was height 5 feet 6 inches tall, with a dark complexion, brown eyes, and black hair. His religious denomination was Methodist. He claimed that he had served for 5 years in the Hill End Rifle Club. He was attested by Captain A. C. Eade at Katoomba on 5th November 1915 (the day the Coo-ees marched from Mount Victoria to Katoomba). He did not complete his medical examination until 13th November 1915 at Liverpool. Sydney Raymond Carver was also known as “Tom” Carver. He was referred to as ‘Private Tom Carver, of the Coo-ees … home on final leave’, in the Lithgow Mercury on 29th December 1915. The National Advocate reported that Private S. Carver was given a send-off on Thursday night 30th December 1915 in the Royal Hall at Hill End, where he was presented with a wristlet watch. On his embarkation roll his address at time of enrolment was Hill End, N.S.W., and his next of kin is listed as his father, B. [Benjamin] Carver, Hill End, N.S.W. On 8th March 1916 Private Carver, along with many of the other Coo-ees, departed Sydney on the HMAT A15 Star of England. He arrived in Egypt on 11th April 1916. On 2nd June 1916 Private Carver left Alexandria aboard the transport Kinfauns Castle bound for France arriving at Marseilles on 8th June 1916. On 4th July 1916 Private Carver was sent to the 4th Australian Field Ambulance suffering from Influenza. On 7th July 1916 he was sent to the 4th Division Rest Station. He rejoined the 45th Battalion on 9th July 1916. On 30th July 1916 Private Carver was promoted to Lance Corporal. On 24th August 1916 he was promoted to Corporal. On 6th April 1917 he was promoted to Sergeant. On 11th April 1917 the 45th Battalion was moving into the front line in the vicinity of Noreuil, France when Sergeant Carver was wounded in action, receiving a shrapnel wound to his left leg. He was sent to the 4th Australian Field Ambulance, then moved back to the 9th Casualty Clearing Station, then the 56th Casualty Clearing Station. On 12th April 1917 he was placed aboard the 11th Ambulance Train. On 13th April 1917 he was admitted to the 1st General Hospital at Entretat, France. On 25th April 1917 Sergeant Carver was placed aboard a hospital ship for evacuation to England. On 26th April 1917 he was admitted to the 2nd Southern General Hospital at Bristol, England. He was discharged from hospital on 21st May 1917, and granted leave to report to the No. 1 Command Depot at Perham Downs on 5th June 1917. On 26th June 1917 he was transferred to the Overseas Training Brigade. On 9th December 1917 Sergeant Carver departed Southampton bound for France. 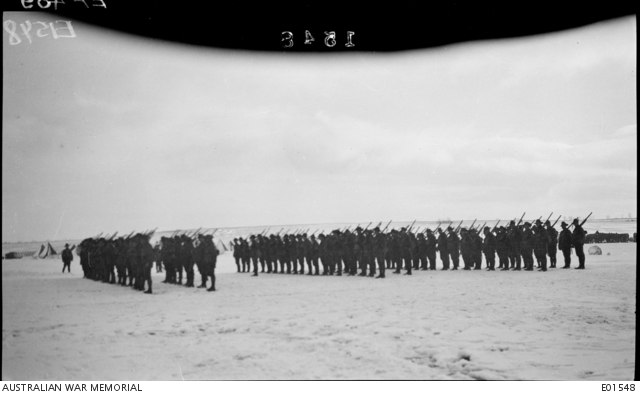 He arrived at the 4th Australian Division Base Depot at Le Harve, France, on 10th December 1917. He rejoined the 45th Battalion when it was training at Haut Allaines, France, on 16th December 1917. On 5th April 1918 the 45th Battalion was in action around Dernacourt, France, when Sergeant Carver was wounded in action for the second time, receiving a gunshot wound to his abdomen. He was sent to the 13th Australian Field Ambulance, then back to the 29th Casualty Clearing Station. On 6th April 1918 he was placed aboard the 27th Ambulance Train being admitted to the 7th Canadian General Hospital on the 7th of April 1918 at Etaples, France. On 25th April 1918 he was placed aboard the Hospital Ship Princess Elizabeth for evacuation to England. On 26th April 1918 he was admitted to the County of Middlesex War Hospital at Napsbury in England. On 3rd June 1918 he was transferred to the 1st Australian Auxiliary Hospital at Harefield, England. He was discharged on 18th June 1918 and sent to the No. 3 Command Depot at Hurdcott, England. On 3rd July 1918 Sergeant Carver was admitted to the Fovant Military Hospital sick. He was discharged on 31st July 1918. On 11th September 1918 Sergeant Carver was transferred to the No. 1 Command Depot at Sutton Veny, England. 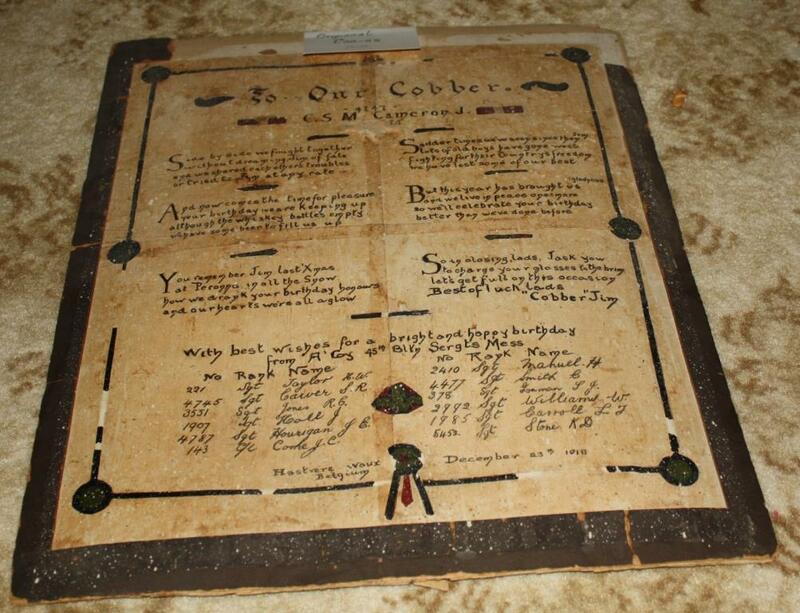 On 21st October 1918 Sergeant Carver was sent to the Overseas Training Brigade. He departed Southampton on 21st November 1918 bound for France. He arrived at the 4th Australian Division Base Depot at Le Harve, France, on 22nd November 1918. He rejoined the 45th Battalion in France on 1st December 1918. On 19th March 1919 Sergeant Carver was sent to the 12th Australian Field Ambulance sick with old abdomen wound. He was discharged, and rejoined the 45th Battalion, on 25th March 1919. On 6th April 1919 Sergeant Carver was sent to the Australian Base Depot at Le Harve. On 11th April 1919 Sergeant Carver was admitted to the 39th General Hospital sick at Le Havre. On 18th April 1918 he was placed aboard a hospital ship for evacuation to England. He was admitted to the 1st Australian Dermatological Hospital at Bulford, England, on 19th April 1919. He was discharged on 4th July 1919 and sent to the No. 2 Depot at Sutton Veny, England. On 23rd July 1919 Sergeant Carver departed England aboard the H.T. Suevic bound for Australia. He arrived in Australia 10th September 1919, and was discharged medically unfit on 10th November 1919. The Mudgee Guardian and North-Western Representative reported that Sergeant Carver was one of the soldiers who were given a welcome home at a large gathering held at the Royal Hall in Hill End on Friday 3rd October 1919. Each soldier was given an inscribed gold medal, and a ‘useful bundle of clothing from the ladies’ knitting circle’. Research note: Sydney Raymond ‘Tom’ Carver was not named in The Blue Mountain Echo as one of ‘the lads who answered the call, and marched out with the Coo-ees’ at Katoomba. His “Joined on” date on his Attestation Paper is 5th November 1915, so it appears possible that he may have joined the Coo-ees somewhere on that day before they reached Katoomba. The Coo-ees picked up two recruits in Blackheath on route from Mount Victoria to Katoomba. One of these men was Thomas Walsh. ‘T. Carver’ and ‘T. Walsh’ are listed together on the Blackheath Roll of Honor published in The Blue Mountain Echo on 13th April 1917. It appears a possibility that ‘Tom’ Carver may have been the other recruit who joined the Coo-ees at Blackheath.